« Whose Idea Was The Wall? The Massachusetts Attorney General Pre-Hearing memorandum cited a July 10, 2016 Los Angeles Times investigative journalism article entitled “More than 1 Million OxyContin Pills Ended up in the Hands of Criminals and Addicts. What the Drugmaker Knew” which detailed how a convicted felon and his criminal business partner set up a phony storefront medical clinic in a seedy area near MacArthur Park in Los Angeles, California, and hired an elderly physician to prescribe OxyContin, which she did at a phenomenal rate – over 1500 pills in a single week in September, more than all the area pharmacies had in stock, or sold in a month. The rate of her illicit prescribing increased phenomenally, and in October, she had indiscriminately prescribed 11,000 pills, and by December, had written prescriptions for over 73,000 OxyContin tablets with a street value of nearly $6 million. 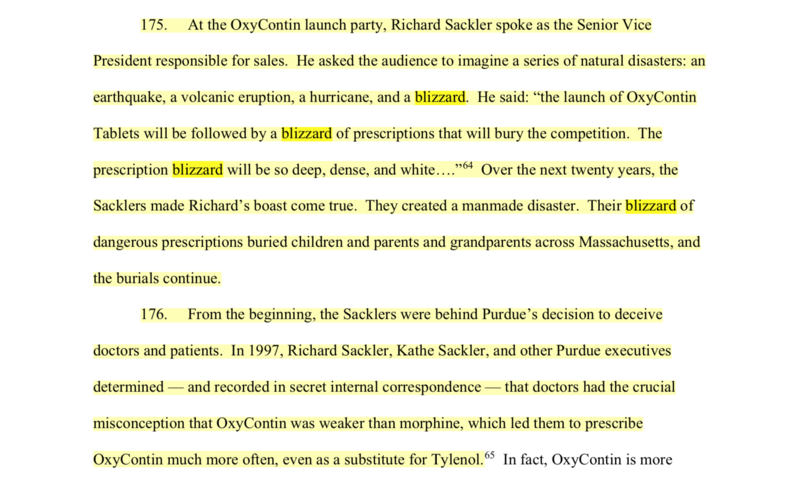 At Purdue Pharma’s Stamford, CT headquarters, Michele Ringler, a Sales Manager, became aware of the extraordinarily outrageous prescribing rate of that physician, and in 2009 launched an investigation, which concluded that the fraudulent storefront medical practice was colluding with a corrupt pharmacy nearby to obtain huge amounts of Purdue Pharma’s narcotic medicine OxyContin. OxyContin tablets are seen at Brooks Drugs in Montpelier, Vt., in this July 19, 2001, file photo. The Vermont Senate is expected to give final approval Friday, Jan. 13, 2006, to a bill that would create a database to help the state crack down on illegal prescription drug use. The database would keep track of prescriptions for some potentially dangerous painkillers. 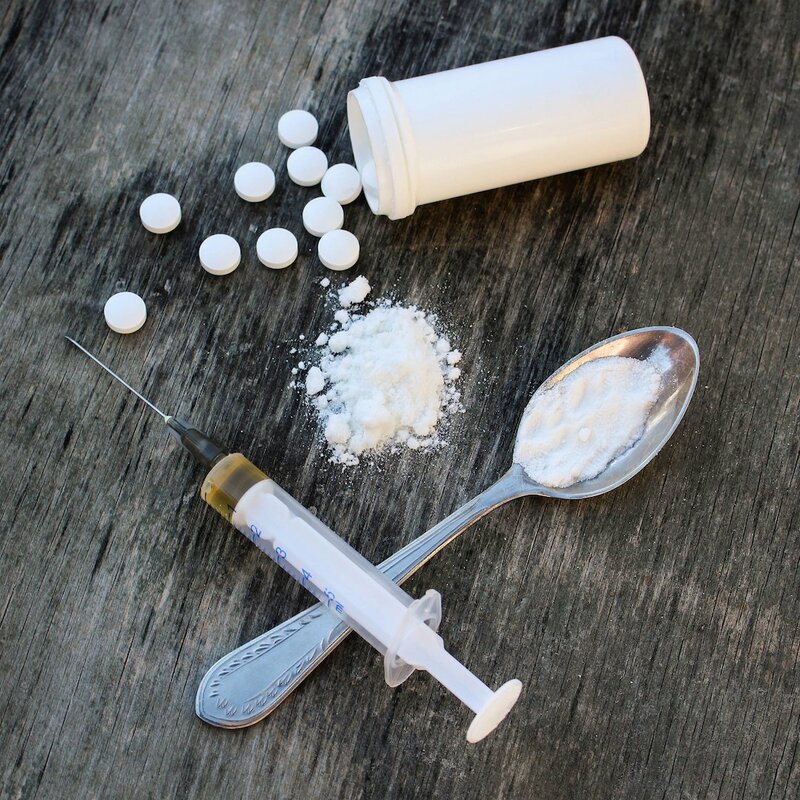 Misuse of drugs, such as OxyContin, is a growing problem in Vermont. However, Purdue Pharma did not shut off the pharmacy’s supply, neither did they tell authorities what it knew about the pill mill operation until several years later, after the clinic was out of business, its ring leaders indicted and arrested, and they had arranged for legal counsel to represent Jack Crowley in case he was questioned. But by that time, 1.1 million pills had been placed into the hands of Armenian mobsters, the Crips gang and other criminals. 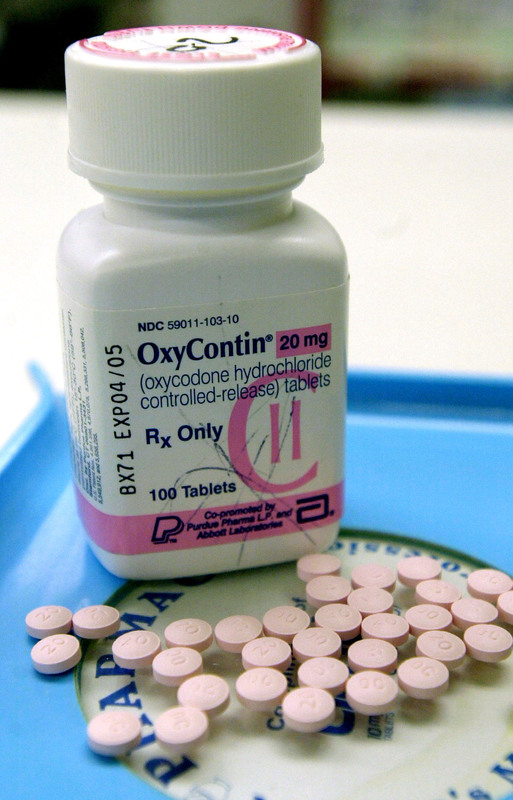 In fact, the Los Angeles Times investigation found that, for over a decade, Purdue Pharma had collected extensive evidence which strongly suggested that illegal trafficking of OxyContin was occurring, and in many cases, did not share that information with law enforcement, nor move to stop sale of those pills. Jack Crowley, a former Purdue Pharma executive who monitored pharmacies for criminal activity, acknowledged that even when Purdue Pharma had evidence that pharmacies were colluding with drug dealers, they did not stop supplying distributors who were selling to those stores. This is not Purdue Pharma nor the Sacker family’s first run-in with the law. In 2007, the company settled a lawsuit with the United States government and paid over $600 million after they deliberately misbranded OxyContin as safe and non-addictive, when it was found to be the solitary medicine abused by narcotics addicts who crushed it to get a quick, intense high. In December 2015, the company settled a similar lawsuit with the Commonwealth of Kentucky, and agreed to pay $24 million, while admitting no wrongdoing. The case, if prosecutors had decided to follow through with prosecution, could have penalized the company over $1 billion in damages. 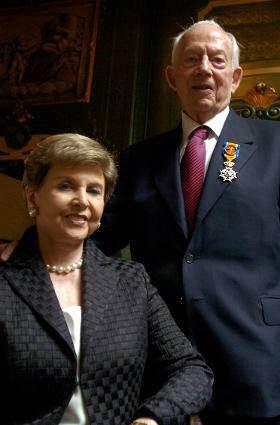 Today, the Sackler family still owns 100% of Purdue Pharma, which has over $3 billion U.S. sales alone, and owns other companies which sell medicines in Europe, Canada, Asia, and Latin America, and divvies up profits with 20 family members. As a well-informed Licensed Healthcare Professional, I’ve long known about this problem for years, as have others. The ROOT CAUSE ANALYSIS is avarice, or “greed gone wild,” aided and abetted by advertising, which in other nations is ILLEGAL. “Ask your doctor if ‘X’ is right for you” in ANY FORM (print/online/broadcast/etc.) in every other nation of the world is ILLEGAL for this reason – it’s unethical – even in professional journals. This is merely symptomatic of an even greater underlying problem in our nation of GREED. Even Physicians, Nurse Practitioners, RNs, Licensed Professional Counselors, and AL State Legislators (never renown for their ethical acumen or prowess) have been caught up in furthering the “Opioid Crisis” by their own greed through public fraud and deceit – and have plead guilty to Federal charges for the same. And yet, our to-date Republican-controlled Congress has REFUSED to address the underlying matters of greed. We the people, through our Congress, demanded to make tobacco advertising illegal, and did. We can, and should do the same for Big Pharma. This entry was posted on Wednesday, January 16, 2019 at 2:22 PM	and is filed under - Business... None of yours, - Did they REALLY say that?, - Do you feel like we do, Dr. Who?, - Politics... that "dirty" little "game" that first begins in the home., - Read 'em and weep: The Daily News. Tagged: 2019, advertising, AG, Attorney General, Big Pharma, Congress, family, GOP, greed, healthcare, law, lies, MA, Massachusetts, money, narcotics, news, NPR, opioid crisis, OxyContin, politics, Purdue Pharma, Republican, sales. You can follow any responses to this entry through the RSS 2.0 feed. You can leave a response, or trackback from your own site.